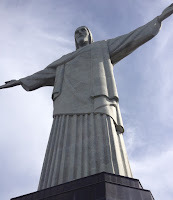 I will admit I was terrified and excited when my husband purchased our plane tickets for Brazil. We had spent months trying to pick an international vacation destination for our long overdue honeymoon. We discussed vacationing in Japan, Spain, France, and even Thailand. We slaved over literature and travel reviews of the best international places to visit (i.e. Trip Advisor). But at the end of the day, there was something enchanting and mysterious that attracted us to Brazil. Maybe it was the history or maybe it was the rich culture. For whatever reason, the country’s hypnotic grasp had a tight hold and would not let go. It was Brazil or bust. The trip abroad would ultimately be split between 2 cities – Rio de Janeiro and Porto de Galinhas (I challenge anyone to find that city on a map without using Google). From the moment we arrived on the doorstep to Brazil’s sandy beaches, we were immediately immersed in a diverse culture of music, food, history, and fruit suco. The city of Rio glowed from the warm ocean waters all the way to the mountainside where Christ the Redeemer himself (one of the new 7 wonders of the world) welcomed us with open arms. The first couple of days, we absorbed the intoxicating sights and sounds that continue to attract thousands of international tourists to Rio every single year. 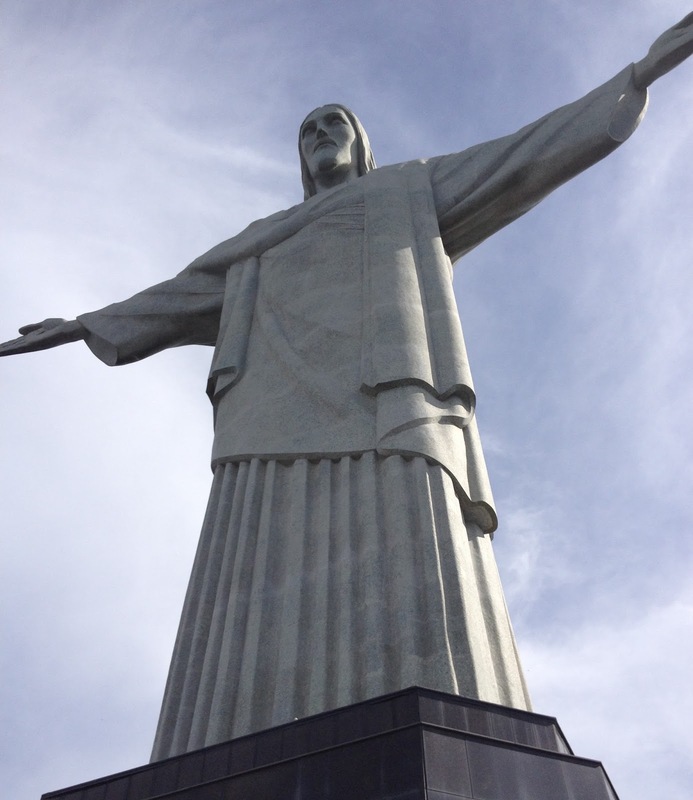 We visited Copacabana beach (and sang the song made famous by Berry Manilow), the botanical gardens, and Tijuca National Park. I gained about 5 pounds eating some amazing authentic Brazilian dishes. I then lost the 5 pounds by exploring the city by foot. Needless to say, I was sad and exhausted when it was time to leave the city. We then traveled to the beach town of Port de Galinhas (English translation – Port of the Chickens). I will say this was the most relaxing part of the trip. We were miles away from any major city and there was no WiFi. Yes, vacations can exist without the Internet. And yes, it is amazing! Our days here were spent walking the beaches hand-in-hand, exploring the town, laying by the pool, and sitting on the patio to our bungalow watching storms roll through. We didn’t speak Portuguese so the language barrier was comical at times, but we made do with what little words we knew (ola, obrigado, and banheiro were especially good to know). My love affair with Brazil continues even to this day. I’ve traveled to other amazing places since this vacation. I will always have a soft spot for Brazil. And it wasn’t just the sights and food that made the country so special; it was also the people. A featured International Vacation Home Exchange property (#1110) is in this You Tube travel videohere. For a selection of other IVHE.com listings in Brazil, please visit these great properties. Thank you to our guest blogger Carla Roberts Pruitt @crobscarla arla.